Attractions like Exploratorium and Japanese Tea Garden make great kid-friendly stops. There's still lots to do: step off the mainland to explore Alcatraz Island, snap pictures at Golden Gate Bridge, take in the spiritual surroundings of Grace Cathedral, and examine the collection at Cable Car Museum. For maps, other places to visit, photos, and other tourist information, read San Francisco trip builder tool . Krakow, Poland to San Francisco is an approximately 16.5-hour flight. You can also do a combination of bus and flight; or do a combination of train and flight. The time zone difference moving from Central European Time to Pacific Standard Time is minus 9 hours. In August, daily temperatures in San Francisco can reach 26°C, while at night they dip to 17°C. Wrap up your sightseeing on the 7th (Wed) to allow time to drive to Yosemite National Park. Yosemite National Park is known for nature, trails, parks, scenic drive, and wildlife. Your plan includes some of its best attractions: take in the dramatic natural features at Glacier Point, take in the dramatic scenery at Vernal Fall, hike along Nevada Falls Loop, and stroll through Panorama Trail. 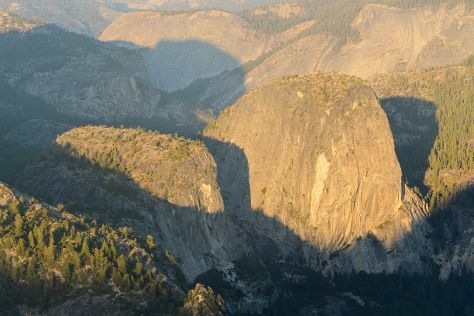 For photos, reviews, other places to visit, and other tourist information, go to the Yosemite National Park trip builder tool . Traveling by car from San Francisco to Yosemite National Park takes 4 hours. Alternatively, you can do a combination of flight and car; or do a combination of flight and bus. When traveling from San Francisco in August, plan for somewhat warmer days in Yosemite National Park, with highs around 32°C, while nights are little chillier with lows around 7°C. Cap off your sightseeing on the 11th (Sun) early enough to travel to Los Angeles. 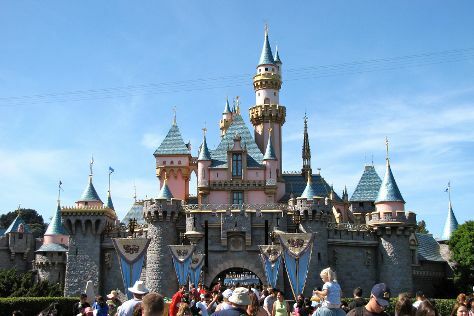 Attractions like Disneyland Park and Universal Studios Hollywood make great kid-friendly stops. When in Los Angeles, make a side trip to see Disney California Adventure Park in Anaheim, approximately 38 minutes away. The adventure continues: look and learn at Griffith Observatory, examine the collection at The Getty Center, Head underground at Bronson Caves, and take a leisurely stroll along Santa Monica Pier. To find where to stay, reviews, and more tourist information, use the Los Angeles tour itinerary site . Traveling by combination of car and flight from Yosemite National Park to Los Angeles takes 4.5 hours. Alternatively, you can drive; or do a combination of bus and flight. Traveling from Yosemite National Park in August, you can expect nighttime temperatures to be warmer in Los Angeles, with lows of 22°C. Wrap up your sightseeing on the 15th (Thu) to allow time to drive to San Diego. Family-friendly places like San Diego Zoo and Torrey Pines State Natural Reserve will thrill your kids. Change things up with a short trip to Self Realization Fellowship Hermitage & Meditation Gardens in Encinitas (about 46 minutes away). And it doesn't end there: meet the residents at SeaWorld San Diego, step aboard Maritime Museum of San Diego, examine the collection at USS Midway Museum, and let the kids burn off some steam at Balboa Park. To see reviews, ratings, traveler tips, and tourist information, read our San Diego day trip planner . Traveling by car from Los Angeles to San Diego takes 2.5 hours. Alternatively, you can take a bus; or fly. Traveling from Los Angeles in August, expect nights in San Diego to be about the same, around 23°C, while days are slightly colder, around 30°C. Wrap up your sightseeing on the 19th (Mon) early enough to travel back home.